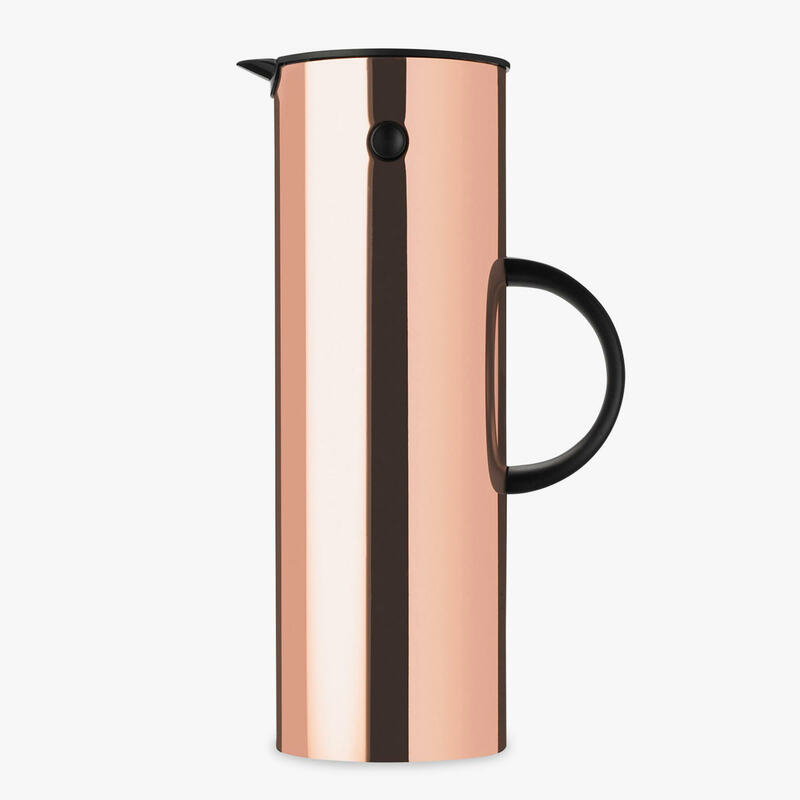 The vacuum jug with the unique rocker stopper was created by Erik Magnussen and is one of Stelton's most iconic designs. Besides the rocker stopper it has a screw cap for transportation of liquids. Available in copper, soft black, lavender or grey.